Combine all ingredients in a slow cooker. Cover and cook on low for 5-7 hours, until flavors are blended and vegetables are soft. Allow the soup to cool slightly. Then puree in batches in a blender until very smooth. Serve immediately, or transfer the soup back to the slow cooker and keep on low until your guests arrive. 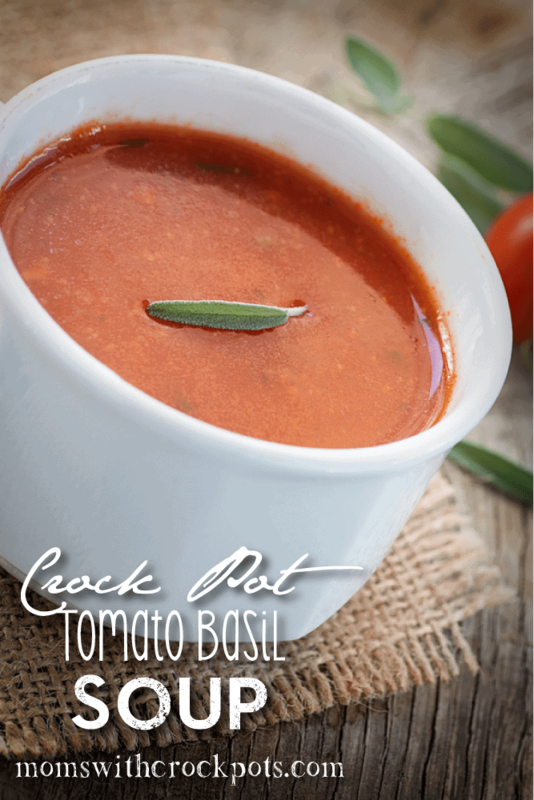 I love using crock pots and love soups in mine!! Was looking for one this morning and here it is! I love tomato soup, but usually grab a can. I am definitely going to give this a try! Looks so good and warming!! !